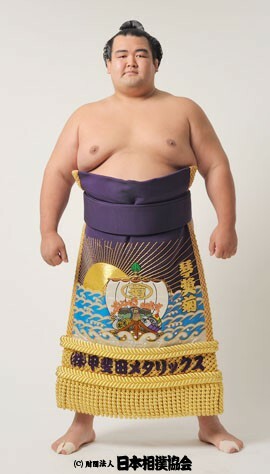 This entry was posted in Japan and tagged Adventures, Chanko nabe, Czech sumo wrestler, Gaijin, Sumo, Sumo wrestler, sumo wrestlers, Takanoyama by Haruko-chan. Bookmark the permalink. Stumbled on this article, and while the lower divisions certainly have lighter wrestlers, I also followed the successes and failures of Takanoyama before he was forced to retire due to persistent injury. Probably he wasn’t suited to the top division, but he was good in Juro. From a sumo perspective, he tended to make use of speed and side-step the initial launch, and that is where his lack of weight (inertia) was a disadvantage. Still, his tenacity and strength did win him fans. I would like to add a comment for Chiyonofuji Mitsugu who at 120kg was/is one of the most successful sumo of all time, using technique, strength and size to great effect. Hi Patrick! Thanks for sharing your thoughts on sumo. Personally, I am not such a big fan of side-stepping the initial launch, especially not when it becomes more than a one-time thing. Isn’t it frowned upon by sumo fans in general as well? Sometimes, when I was watching Takanoyama, I felt more like I was watching judo, with all this throws, rathers than sumo. But still, he was an interesting character. Speaking of relatively light wrestlers who make use of speed and agility, I really like Harumafuji’s style. I haven’t been following a lot of sumo since I left Japan because it isn’t covered in Belgium, but I heard he made yokozuna and I’m glad for it! Chiyonofuji sounds very interesting. I wish I could have been around to see him fight in his glory days but it was well before my time. Yes, Harumafuji made Yokuzouna, but I’m not a fan of his (he loses too often for the top rank, but he does carry injuries). You are also right about the side-step (henka) move. Once a tournament is ok, but it is n’t good sumo, especially at the top ranks. For good highlight coverage, you can watch https://www.youtube.com/user/Kintamayama – 15 minute recaps of the top division each day. Wow, jealous 🙂 Enjoy Tokyo basho! And thanks for letting me know about that YouTube channel. well, he doesn’t seem to be THAT big at all. i bet your husband can easily take him down. I don’t know. My husband has the height advantage, but I can assure you that Takanoyama is all muscle so he must be pretty strong. He is 196 cm tall. Great post! I’ve discovered that sumo is a greatly amusing sport while living in Japan. Thanks! It was the same for me. Before living in Japan, I thought sumo was quite boring. But once you start to understand the dynamics of the sport a bit more, it becomes really interesting. The English commentary on NHK was very helpful for me. Now that I am back in Belgium, I have stopped following sumo because we don’t have access to English commentary. The only way to watch sumo in Belgium is through the live feed on the Sumo Association website, but that is without commentary. So once more, I have no idea what’s going on in the world of sumo. Good for you, being able to understand everything in Japanese! 🙂 Just in case you didn’t know this yet, I’ll share with you a discovery that we made 6 months into our stay in Japan: Japanese television has a bilingual button. Some programs are available both in English and in Japanese, like for example sumo and the news on NHK, and some movies on other channels. We could switch to English by pressing the bilingual button on our remote. What a discovery that was for us! Good post, I have been watching sumo for about 15 years. There have been a few smaller men in Sumo. One comes to mind is Mainoumi. He was only 171cm tall and about 96kg I think. He was very popular when I first arrived in Japan in the mid 90s. He made it to Komusubi rank. I don’t think Takanoyama is as good as Mainoumi. Takanoyama doesn’t use his compact size properly. He is also loosing his hair which is not a good thing either. I don’t think Takanoyama has ever made it past Maegashira 12, so yes, Mainoumi would be a lot better. I had to laugh because of your remark about his baldness. Don’t you like balding men? Or are his poor sumo results somehow related to his hairloss? Another (relatively) smaller wrestler that makes excellent use of his smaller size is Harumafuji. I admire his agility and his lively sumo style. Lucky. All I got was a very brief conversation with Musashimaru. Musashimaru is a lot more impressive than Takanoyama though. This was the Naruto-beya, who stay at a local temple in Nagakute for the Nagoya Tournament in July. Definitely. Musashimaru was massive. I met him at the January 2010 tournament in Tokyo.